The Commission team including Lira district officials at Council hall on Friday. 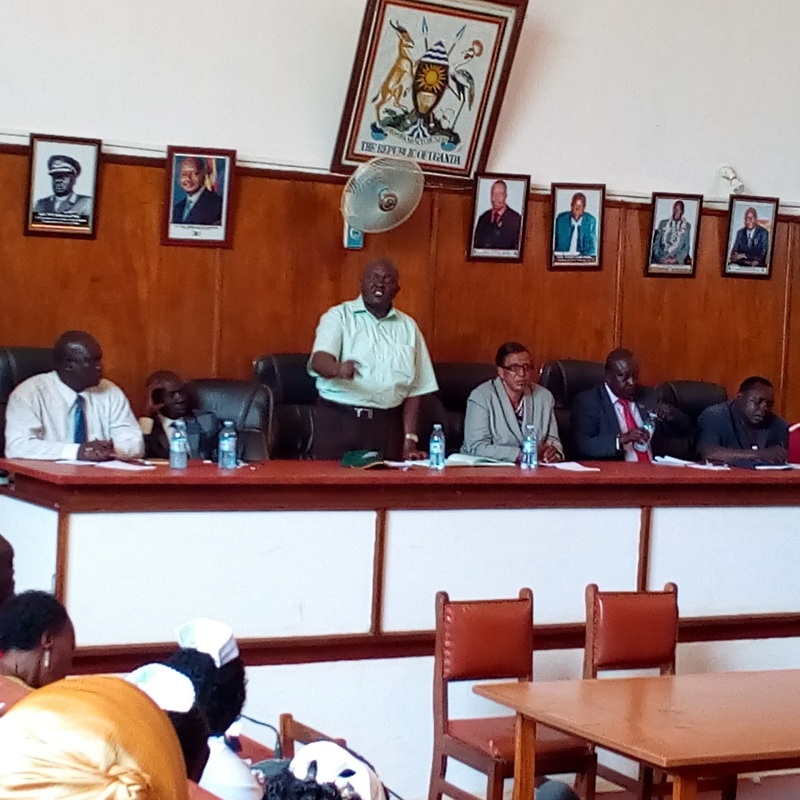 The commission of Land inquiry sitting at Lira district council hall on Friday received another six new cases related to land grabbing, particularly in Lira district. According to the commission, they had received only six cases to be investigated before getting another six, one of which is faulting, yet again, Lands, Housing and Urban Development Minister, Hon (MP) Betty Amongi Ongom. “Initially, we had only six cases reported to us for investigation but again we have received six more which will now require us to hold a public hearing as soon as possible to settle the grieved parties,” Commissioner Mary Oduka Ochan says. Ms Ochan says major land queries reported to them include Uganda Muslim Supreme Council land in Central Division, a piece of land purportedly grabbed by Minister Betty Amongi also in central division to set up a building, among others. “Here, today, the [community] just mentioned new cases like Lira Airfield land, Lira regional referral hospital land, Lira coronation park land and the Mayor’s Garden among others,” she added. Florence Okello, popularly known as Imat Apuli, a produce dealer at Produce Lane in Lira town told the commission that Lira Airfield land was actually sold to them by Lira Municipal council at a cost of shs.3.6 million per plot. 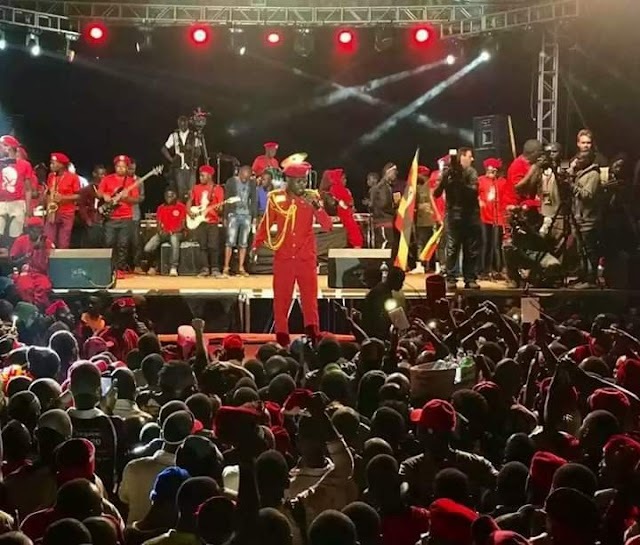 We did not come from the blue and found ourselves staying on that land but we bought it from the Municipal council officials and I have my signed document here,” she revealed. 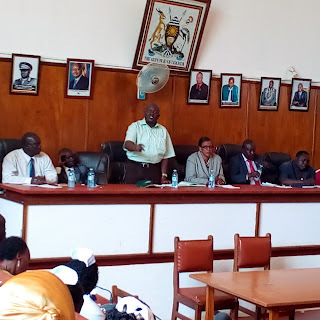 Lira RDC, Robert Abak condemns high level of connivance between some technocrats and politicians in Lira Municipal council whilst Lira district with some private individuals as the major cause of land saga in Lango sub-region. “There is always underlying role why these matters are going up. One of them is that our technocrats, some of them are not trusted including some politicians and it’s why they are losing some of these lands,” Abak told the Commission whose head, Justice Catherine Bamugeirie was absent. “It’s not that this people come from nowhere to grab….they use us in offices, a case in point is the Municipal Council. One would wonder how one can sit for a meeting and say Civil Aviation land be given to private developers,” Mr Abak, who was then not in Lira as RDC noted. Abak appealed to the commission to speed up their process of investigation and hold a public dialogue so that the real culprits can be brought to order. Advising the Commission, the RDC requested for a speedy investigations and statements from whistleblowers, accused person so that those found guilty be dealt with without fear or favor. Should that not happen, Abak says many government lands in the sub-region would be lost deliberately. Apac district was commission’s next destination where they are expected to meet the community who will serve them with illicit land dealings in the district. A public hearing, cross-examination and arrest are scheduled for next month in Lira town.